You cannot make trips to the Riviera Maya without swimming at least once in a cenote! Also is it “a” or “one” cenote? In Spanish it is pronounced “a cenote”, that the conquistadors translated from the Mayan word Dzonot (deep…). No one really knows how many cenotes there are in the Yucatan Peninsula, but we are talking around 10,000 cenotes! The cenotes are somehow a testament to the passage of time. From fossils one can observe a time when Yucatan was still under the ocean. Contrary to what is often believed, it’s not a meteorite that caused them to resurface 65 million years ago- the(Chicxulub meteorite) famous meteorite that was (not all scientists agree) responsible for the extinction of dinosaurs! The meteorite has nothing to do with their formation-it is much older. The cenotes are magical and unique in their abundant amount in the Riviera Maya. There are some in other parts of the world, but never as many with such warm and crystal clear water. We have all the conditions for the transformation of these natural formations of jewels of nature! You will see this in Mexico! Around 2 and 2.5 million years ago, the water level dropped, following the ice age and this great limestone plateau that is the Yucatan appeared. The rainwater filtered through the limestone over thousands of years and gave birth to underground rivers and what we can see today: CENOTES. They were once the only source of fresh water in the forest, because here there is neither river nor stream; everything happens in the limestone plateau of Yucatan. Thanks to the cenotes the Mayan civilization was able to develop and also thanks to them, the Spanish settlers were able to establish new cities. 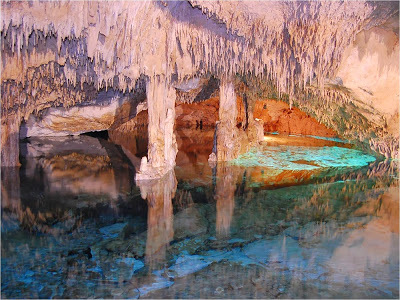 Near Tulum, there is the largest network of underground rivers in the world with approximately 170 kilometers of river. 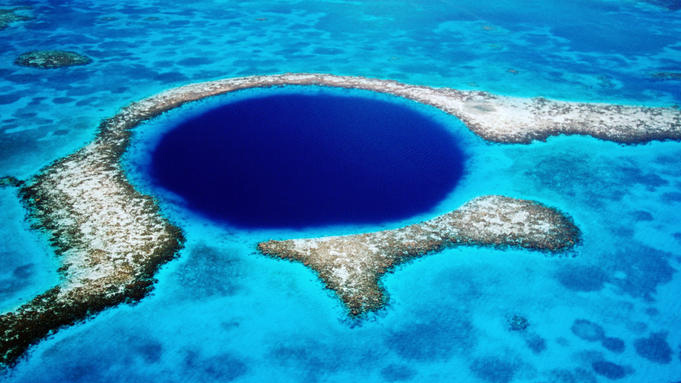 At Paseo Tours we have a day tour of complete snorkeling and we can take you there! The cenotes are sacred to the Mayans who see them as the entrance to the “the underworld”, one of the steps of the representation of life for the Mayan civilization. Fresh water is crystal clear, turquoise, and refreshing (about 23/24 °C) and the walls are formed of stalactites and stalagmites-true works of art from the passing of time. There are different styles of cenotes, from natural pools and open wells (as you can see on the excursion to Chichen Itza)to underground (excursion to Coba) and semi-open trip to Tulum). For those lucky enough to see the Bacalar Lagoon in the south of the state of Quintana Roo, you will be amazed to know that some cenotes which border the lagoon are 90m deep!! 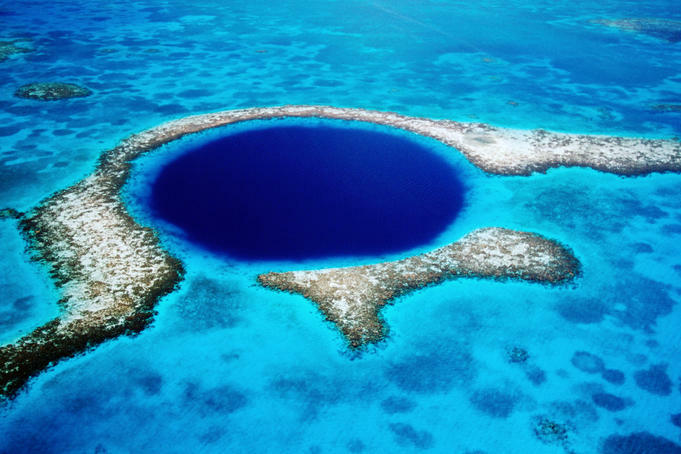 There are also identical formations at sea, called the “blue holes”, such as the famous “blue hole” of Belize that is 200 meters deep and true navy blue in the midst of a turquoise sea!! For now the water is pure, and even drinkable, and today the cenotes attract many tourists, which is why it is very important not to contaminate the water. It is a network; cenotes all join with each other through these underground rivers. Sunscreens are prohibited for swimming, as well as mosquito repellent, so please consider this during your next swims so that our children can continue to go in the coming years. Source: lonelyplanet.com photographer Greg Johnson.